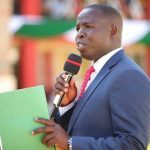 Nandi Governor Stephen Sang has officially inaugurated the Kapsabet Municipality Board that is expected to oversee provision of quality services to residents. This comes after the County Assembly approved a motion for conferment of the status of Municipality on Kapsabet Town. 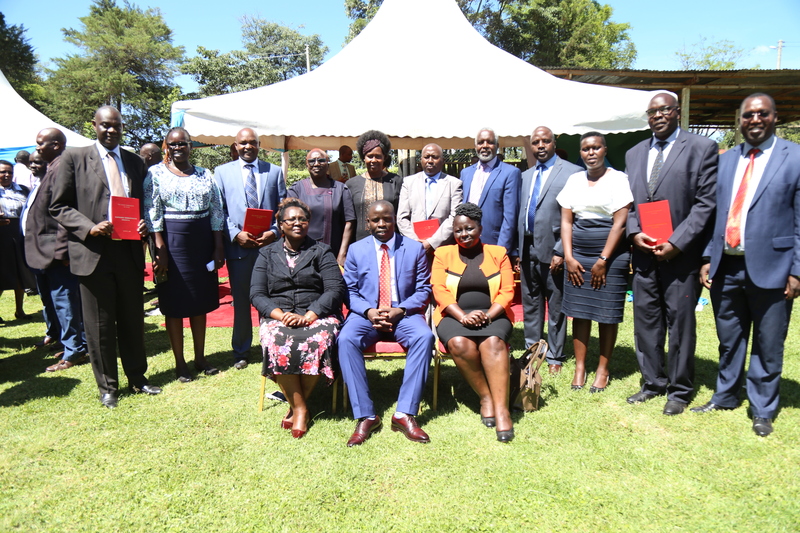 This paved way for the grant of the Municipality Charter on September 24, 2018, during the launch of the Big Four Agenda graced by H.E Deputy President William Ruto. The Board Members are Dr. Charles Lagat, Emily Sigot, Donald Koros who will represent Persons Living with Disabilities, Janet Jeruto (the Youth), Kasmir Sang (Informal Sector/Kiosk Operators Association), Aileen Laitobir (Local Urban Forum -Nandi), Ruth Koech (Neighborhood Association/ Land Owners Forum-Nandi), Geoffrey Koros ( Professional Association), and David Kiptoo Busienei( Private Sector/Chamber of Commerce). 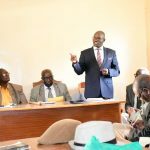 David Sum was also inaugurated as the Municipality Manager and sits on the Board. 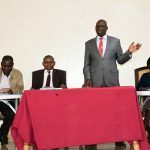 Kapsabet Municipality covers Kiminda, Kipture, Kabirirsang, Kipsigak, Kamobo,Chemundu,Chepterit and Kaptildil areas where the defucnt Kapsabet Municipal Council used to Cover.